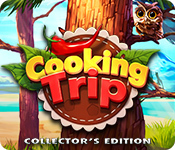 Cooking Trip Collector's Edition is rated 2.9 out of 5 by 12. Rated 5 out of 5 by Mandi1966 from Good Game, Although like Katy and Bob Good game, very much like Katy and Bob, but different. Its harder than the Katy and Bob game to get the Gold goal. More you play the more you like it. Like the quirky differences, robot instead of dog, music player instead of fireworks. Loved the game. Rated 5 out of 5 by Aribear from Familiar but fun I'm writing this because I have read so many negative reviews and I don't understand why. I thoroughly enjoyed this game. Yes, it is similar to the Katy and Bob games, but I thought this one was easier some how. When I played one of the Katy and Bob games, I never purchased it because I couldn't keep up and it frustrated me. Just think of how many games are just like the Delicious Emily games, yet people still buy them, including me. I find it comforting to play a game where I recognize the mechanics so I don't have to waste time learning how to play it, I can just sit and relax playing it. Sometimes derivative is good! Rated 4 out of 5 by mendillovictoria from COOKING TRIP COLLECTORS EDITION I REALLY LIKE THE GAME ,HARD TO KEEP UP SO YOU HAVE TO BRING YOUR A GAME.I THINK THIS WILL WORK FOR GIRLS.TEACH THEM TO COOK ,HANDLE CUSTOMERS.WISH WASNT SO CONFUSING ON THE WAYS YOU DO ORDERS. GOOD LUCK COOKING!!!! Rated 3 out of 5 by Practive from Fun but too fast for me It would have been better if the time factor was slower and not quite so many additional features been added in so quickly. Loved Diner Dash series and many other earlier games but didn't buy this one because I knew I'd never be able to reach the end. Rated 3 out of 5 by nmgirl98 from Exact Replica of Katy and Bob games If you're familiar with the Katy and Bob series - Cake cafe and Safari cafe, this is the exact same thing - down to the freezer for drinks, the game set up and most of the tasks. Rated 2 out of 5 by coryclyde from Fun but limited for color blind people Game is fun but the developer fails to realize that color blind people play the game. Having several similar colored toppings makes the game unenjoyable for me. Rated 2 out of 5 by swankme from I am so sad... I am sad because maybe once every 2 weeks if we are lucky we get a TM game. And the fact this is just a generic Katy and Bob means we won't get one for a while now. I read the reviews and said to myself, it can't be that much the same. Wow, It is the same exact game. I bought the mobile version of safari cafe just 2 nights ago and love the series but this is sorta the Save a Lot version of Katy and Bob. And for the life of me I can't figure out what the girl is doing with her hand, it's almost like she is just motioning "whatever" everytime you give her a task. If you are desperate and really need a TM fix I suppose you could wait for the standard edition but I wouldn't waste money on a CE. Rated 2 out of 5 by pennmom36 from MARY & JOHN...or is it Katy & Bob? I have to agree with the reviewer who said that this is an exact replica as the Katy & Bob Safari Cafe game because it is EXACTLY the same, there's not one single thing different! To make matters worse, they throw in a Strategy Guide that can be found online for free, add 5 Music Soundtracks and 10 character pictures, double the price tag and call it a day! The story is exactly the same, only the names have been changed to protect the innocent...paying customer who bought Katy & Bob. 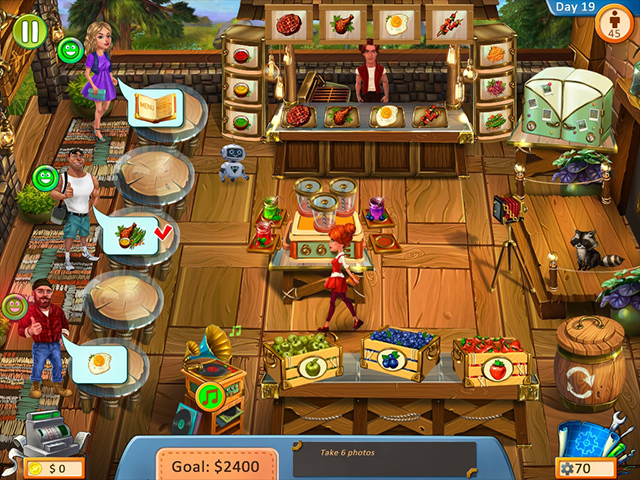 The restaurant layout is exactly the same, starting out with 3 standing room only tables on the left, a fence around the entire tiki hut restaurant, a grill where John continuously flips steaks at a break-neck pace, a condiments station to the left of the grill, rectangular tables for fruits of various types on the bottom portion of the screen, a freezer on the right-hand side, next to the grill, to turn those fruits and veggies into a frosty cold beverage, and eventually, 2 different restaurants with similar Katy & Bob themes. Does any of this sound familiar? Of course, it does, which is the MO for all games by this dev, all they ever do is change the Title and the Characters names. This is a Point & Click, Time Management game where you serve customers for tips. 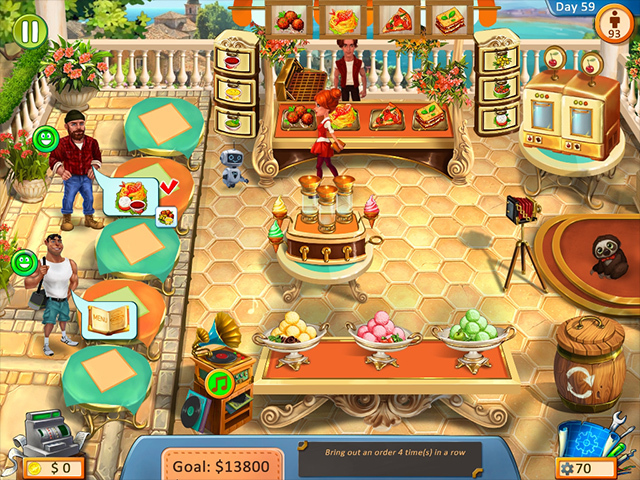 You simply click the customer to give them a menu when they arrive and then click on the items they order, (pictured items are shown in their thought bubble) and re-click the customer to deliver those food items (exactly as pictured) The good news is that you don't have to drag anybody or anything, an annoying feature some TM games incorporate. When the $ sign appears, you click the customer a final time to accept payment and then scan the cursor over the coins to receive the tip. (Coins? I don't think a few coins add up to a 20% tip!?!) Each customer has a Green Smiley over their head which turns Yellow, and eventually, Red if the service is too slow because they lose patience. Their patience level also directly affects the amount of tip they are willing to leave, with either Gold, Silver, or Bronze Coins. The "Expert" Goal amount is shown before the start of each level, and there are Bonus Goals available (but not required) which are shown at the bottom, such as collecting money from three consecutive customers simultaneously. As you progress, the Menu items increase and become more complex, such as a Steak with several different condiments or sides. The tips you earn are used to purchase Upgrades from the Shop to help you achieve level goals, such as Extra Serving Stations, Decor to help stabilize the customers' mood or earn more money by Increasing the cost of food items. There are 60 Levels and 12 Trophy Achievements to earn as well, but other than a Strategy Guide, a handful of character Concept Art, and 5 Music Soundtracks, there's really nothing offered here that make this game Collector's Edition worthy, especially at twice as much money. If you love the Katy & Bob series, you'll surely love Cooking Trip because it's exactly the same game with slightly better graphics, however, I would suggest you wait for the Standard Edition version if possible. The SE will more than likely still have the Achievements, and it appears that the 60 levels are part of the game as is, none of them suggest that they are CE extra levels! by: 8 Floor Games Ltd. Rated 2 out of 5 by nibblet123 from same old same old yup the same game as Kate and Bob.. Only the food has changed.... been there done that. 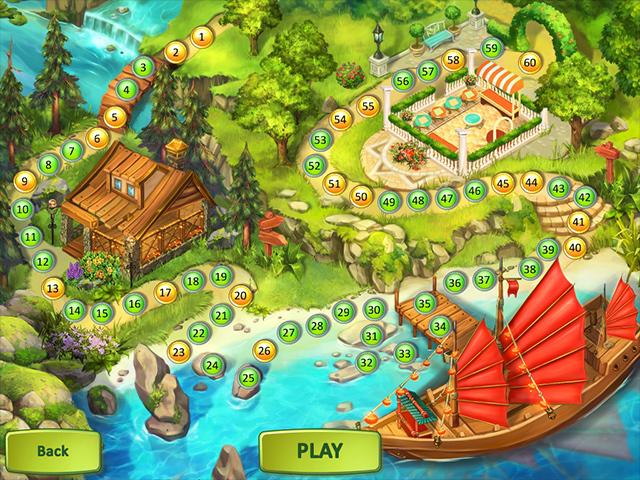 I am so glad that it is a time management game hoping more will be offered..